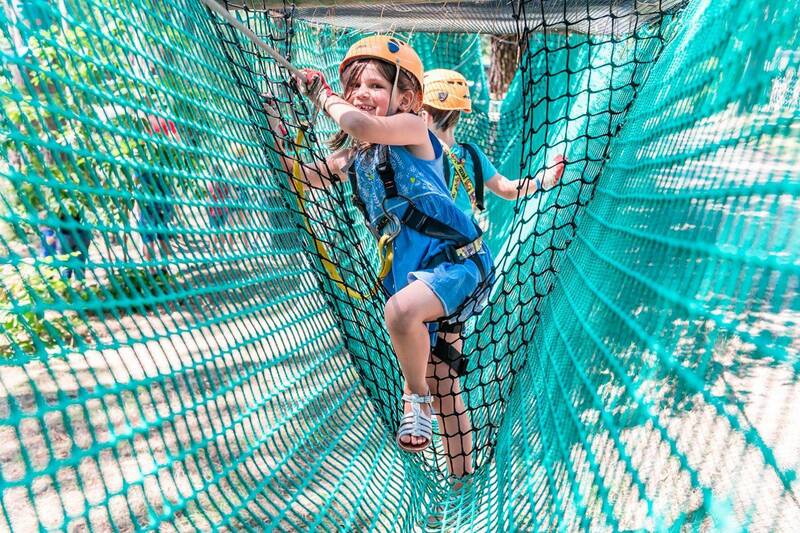 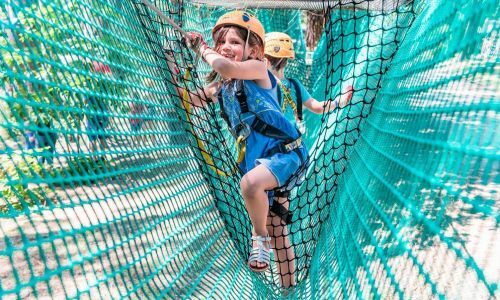 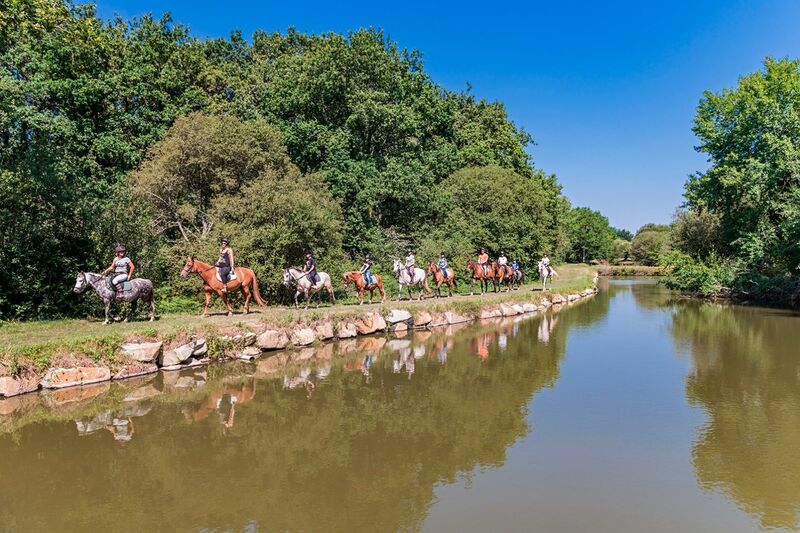 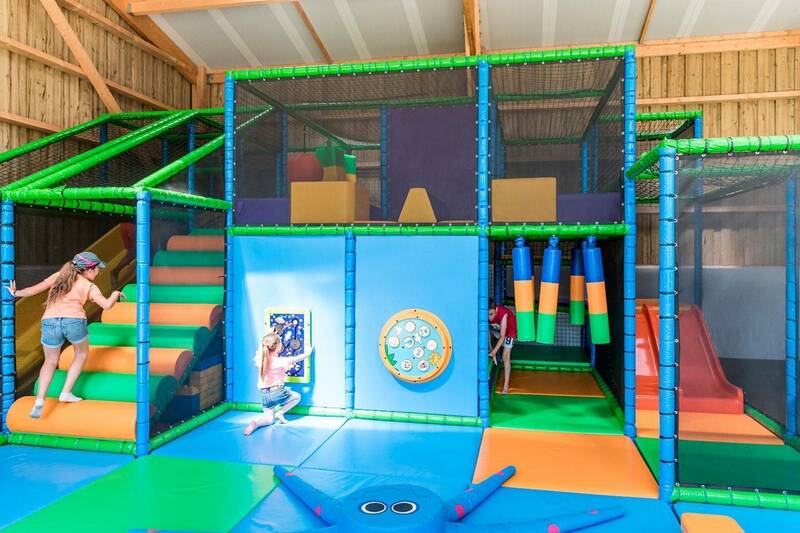 The numerous on-site activities at Mané Guernehué campsite are a joy to both adults and children alike: zip-lining, tree-top climbing, bouncy castles, trampolines, riding centre, pony rides, riding lessons, minigolf, kids’ club, entertainment, fishing in the pond. 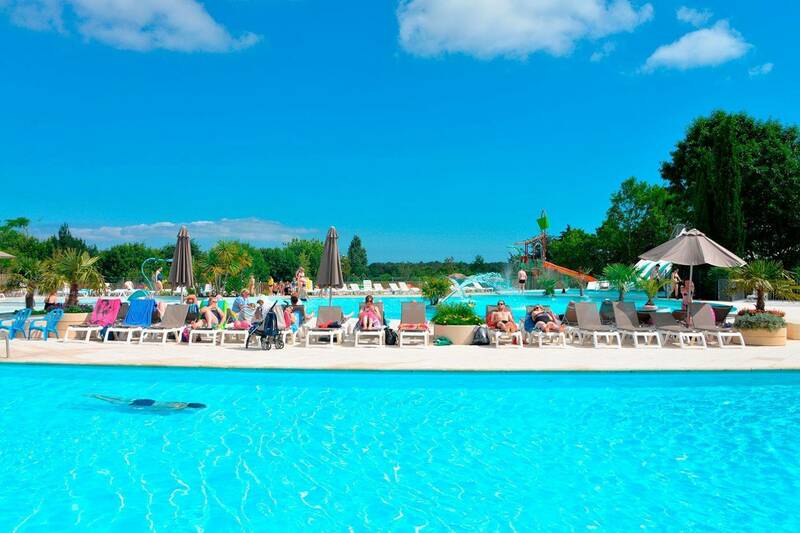 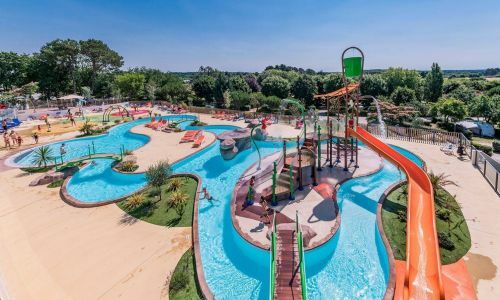 We also have an outdoor pool complex and waterslides, an indoor heated pool, a spa and wellness centre « Douc’heure du Golfe » with sauna, hammam, Jacuzzi, sensory showers, beauty and body treatments, face and body massages as well as a fitness room which offers a fabulous view over the indoor and outdoor pools. 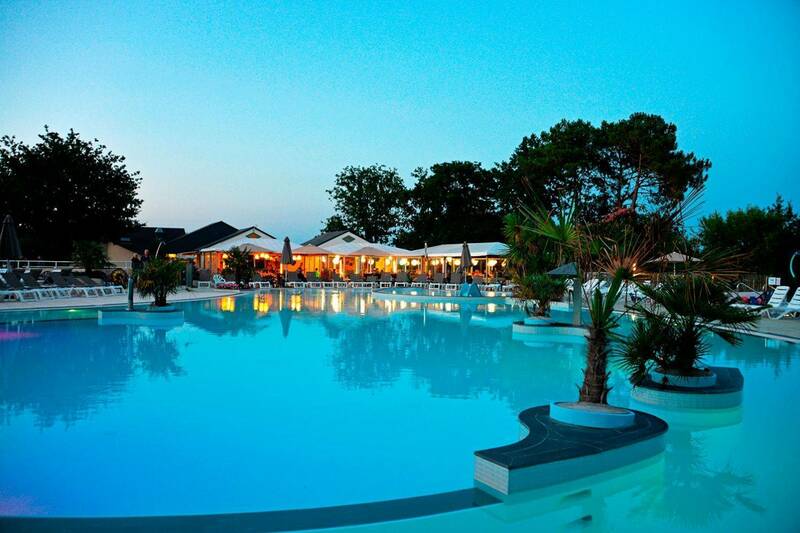 Our restaurant “Le Petit Vézit” located by the pool, is ideal for snacks and meals and offers a choice of dishes: pizzas, à la carte menu, set menus, pancakes and desserts. 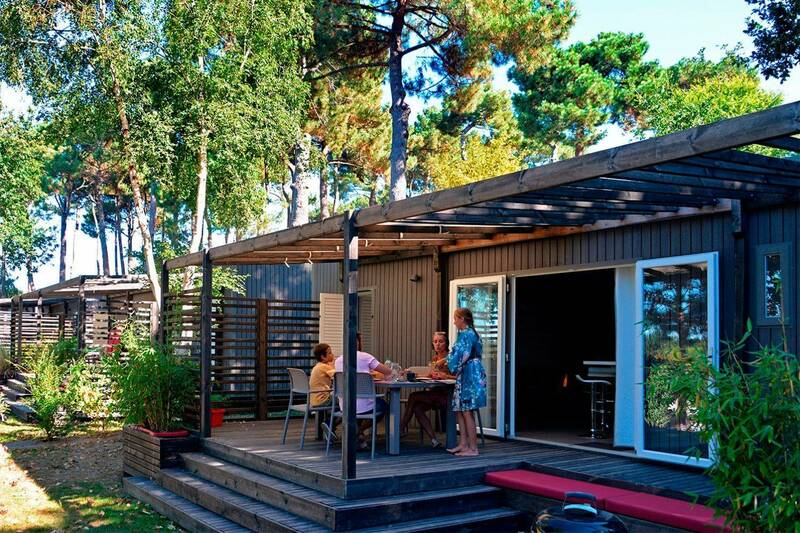 Take-away: roast chicken (to be ordered the day before), snacks, pizzas. 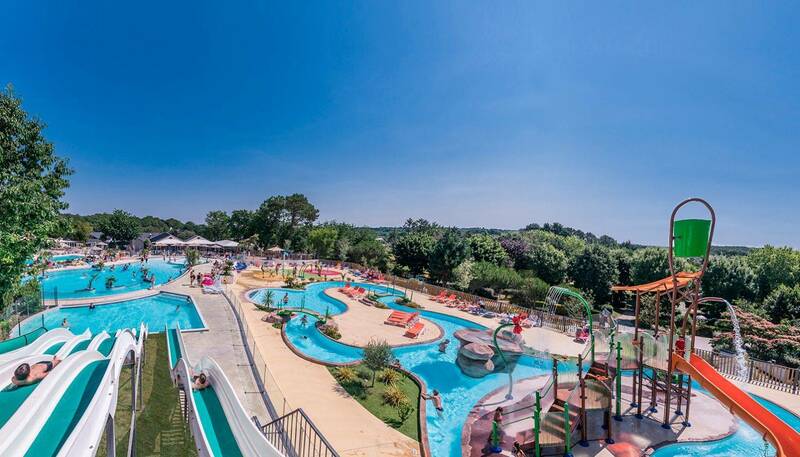 Whether you are travelling with your tent, caravan or motorhome, you have a choice of spacious, sunny and shady pitches (ranging from 90 to +100m²) set within the most magnificent park surrounded by flowers and trees. 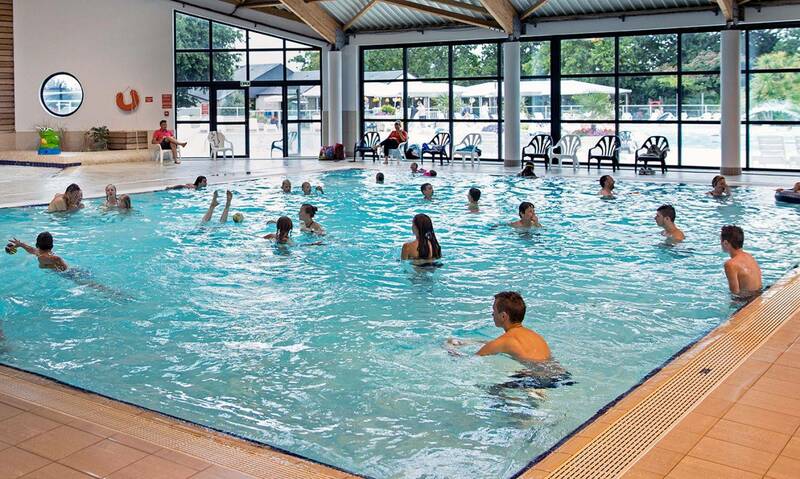 Discover our fabulous pool complex where adults and children alike can enjoy hours of fun in complete safety. 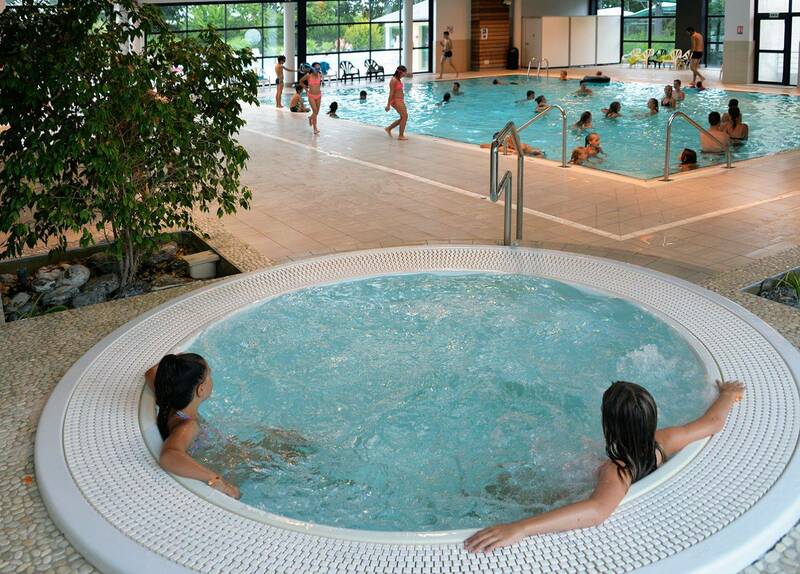 The indoor pool, heated to 29°C comprises a swimming pool, a paddling pool, a waterslide and a Jacuzzi. 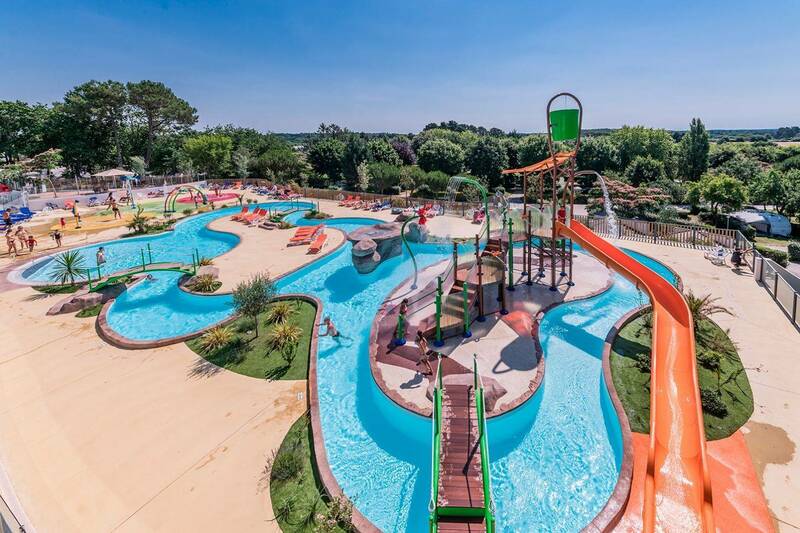 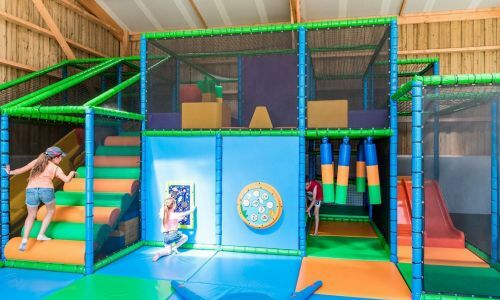 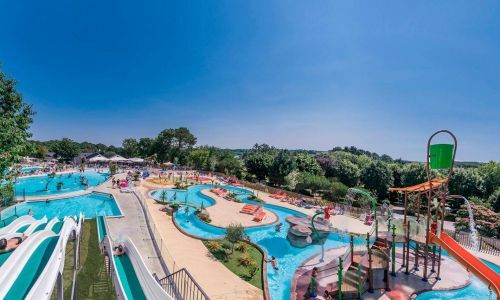 Outside, a swimming pool and a fun pool, a 5-lane waterslide, a counter-current river, a splash pool for young children and a 200m² solarium. 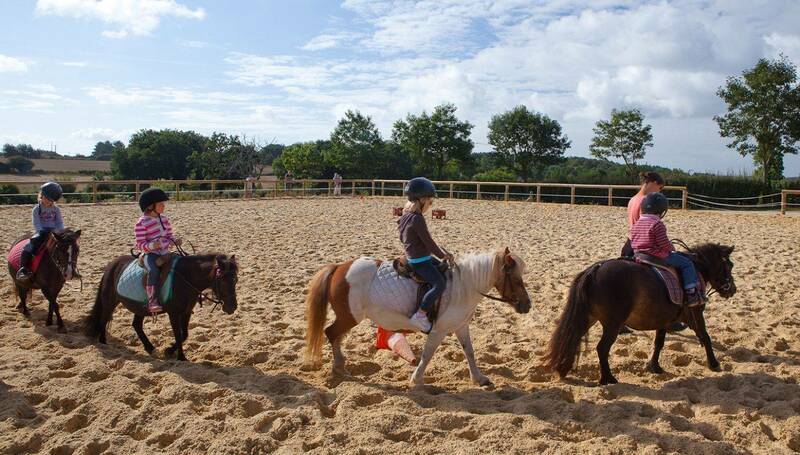 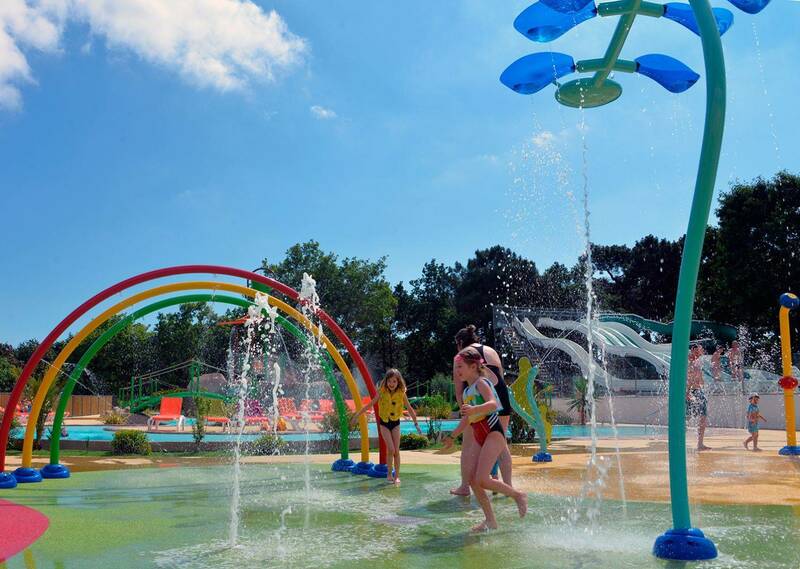 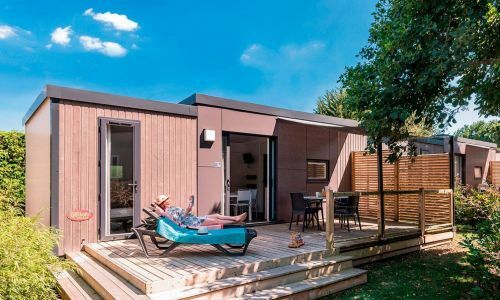 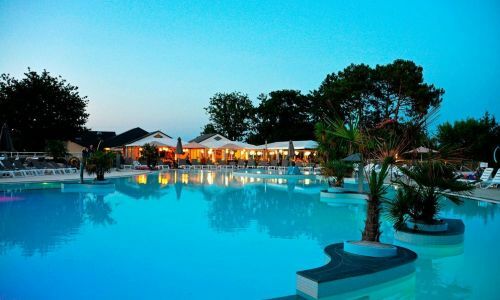 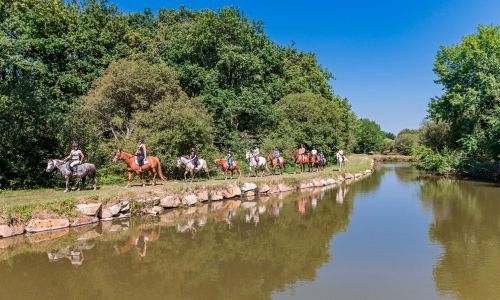 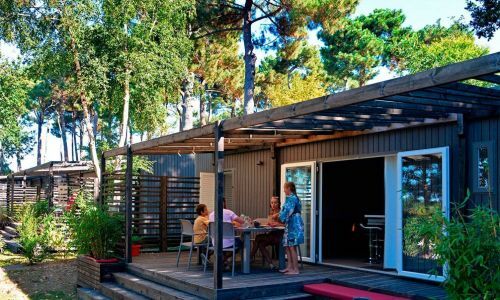 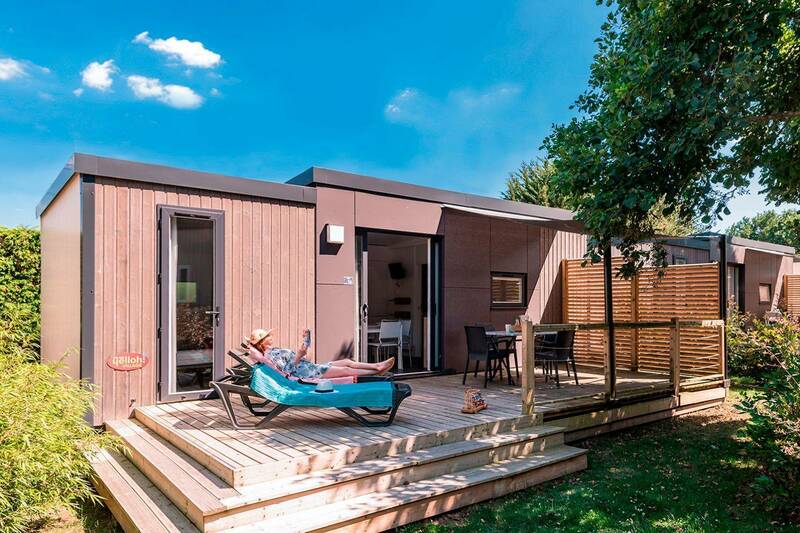 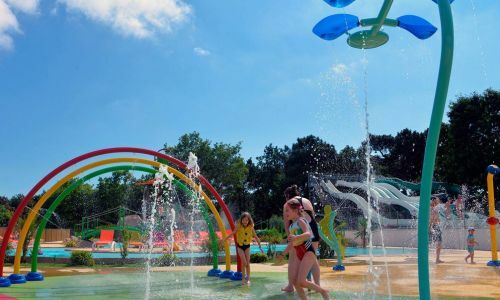 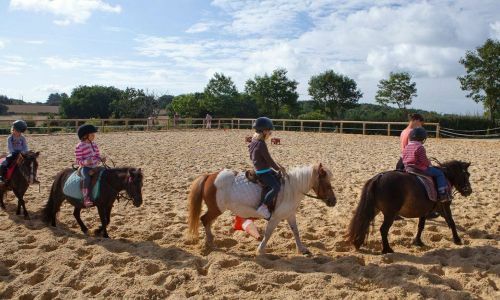 The Mané Guernehué campsite offers a wide range of self-catering accommodation for a relaxing break in southern Brittany (mobile homes, chalet Ty Bihan, Prestige mobile homes, gypsy caravans, gites, apartments). 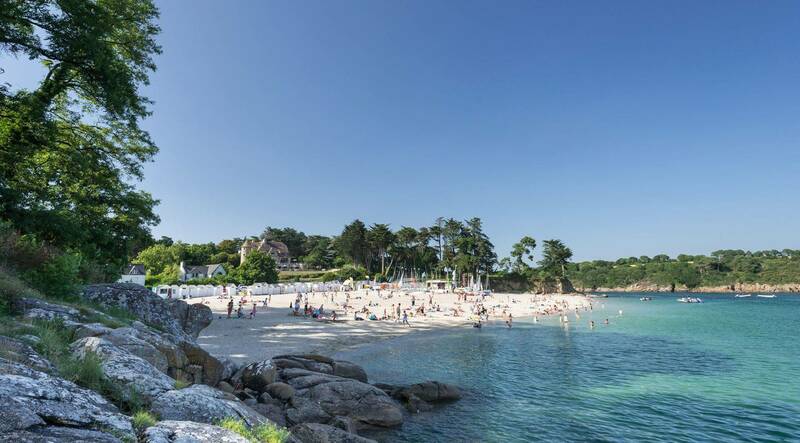 An impressive range of watersports are available in the Gulf of Morbihan: sailing, kayak, stand-up paddle, boat trips… The beguiling scenery of the Gulf combined with the perfect climate conditons makes these activities particularly appealing. 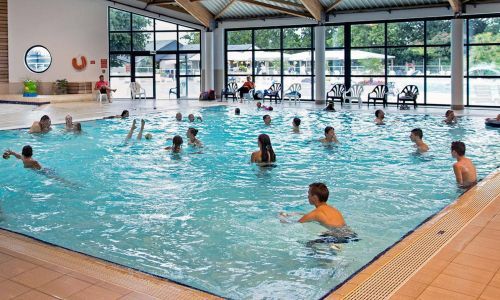 If you do have a go, don’t forget to check the tide timetable to ensure you get the most out of your activity. 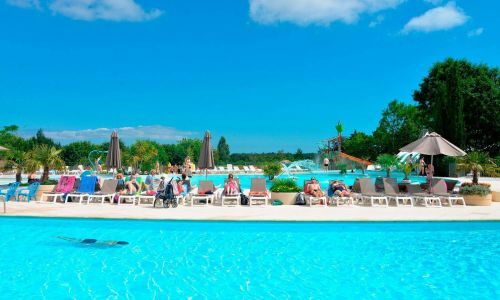 Embark at Port Blanc for Ile aux Moines or Ile d’Arz: a total change of scenery guaranteed in an environment that is still wild.